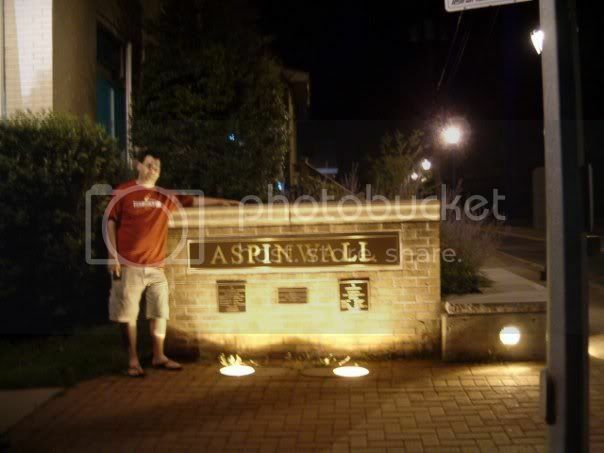 Contrary to popular belief, Aspinwall neither boasts the Waterworks Mall nor the popular beer distributor in nearby Sharpsburg. What does it have? A scenic view of the Allegheny River and a nice main street drag full of zest and local businesses. These signs are well-maintained, placed in prominent locations, and nicely illuminated at night. The signs go along quite well with the character of Aspinwall's business district. These were taken prior to a 1:00 AM visit to the local King's Family Restaurant. Brendan O'Donnell taking it easy. 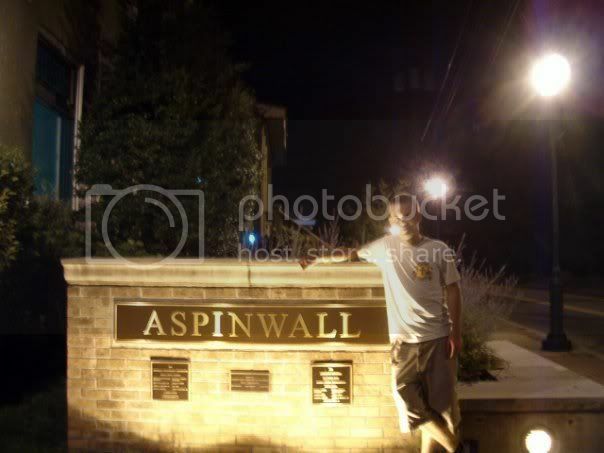 Andrew Miller taking life, and the Aspinwall sign, as it should be taken—- one step at a time.